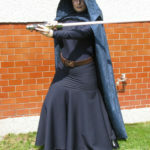 I wanted costume of Barriss Offee for a very long time, but I didn’t have skills and money. 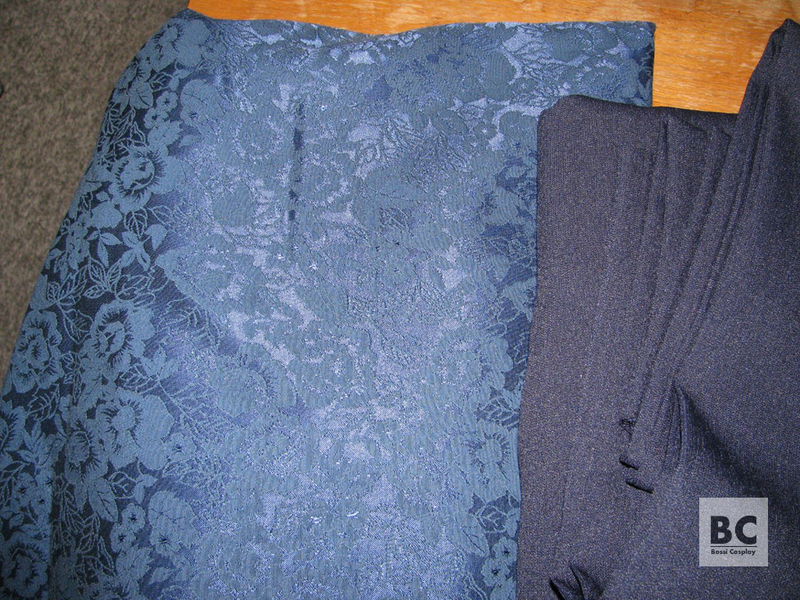 So as soon as I saved some money and found a suitable cloak fabric, I started to work on the costume. 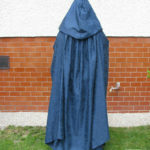 The most important was to find out how the cloak is made. 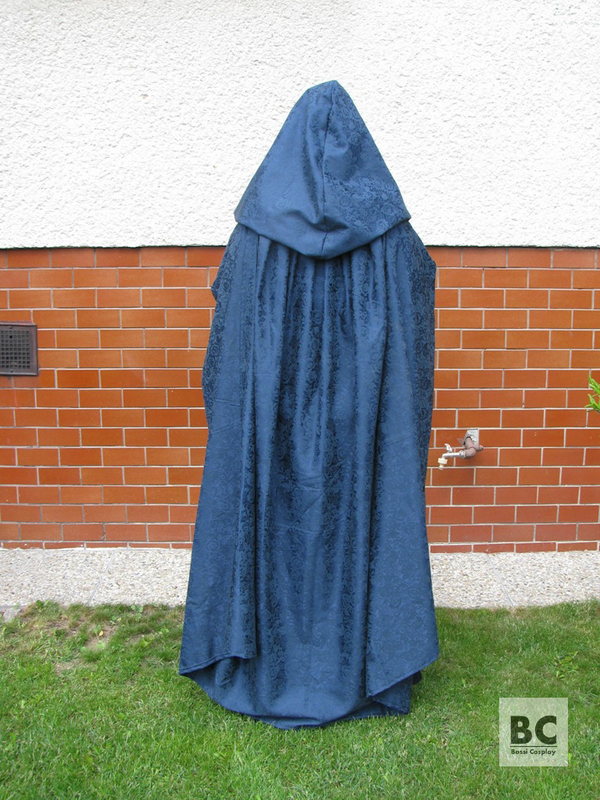 The construction of the cloak is quite elaborate and it wasn’t easy to come out with solution with the right effect. However, the final product looks and functions really well and I am very proud of it. 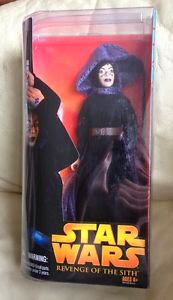 The main help in figuring out the construction was the Barriss Offee doll. 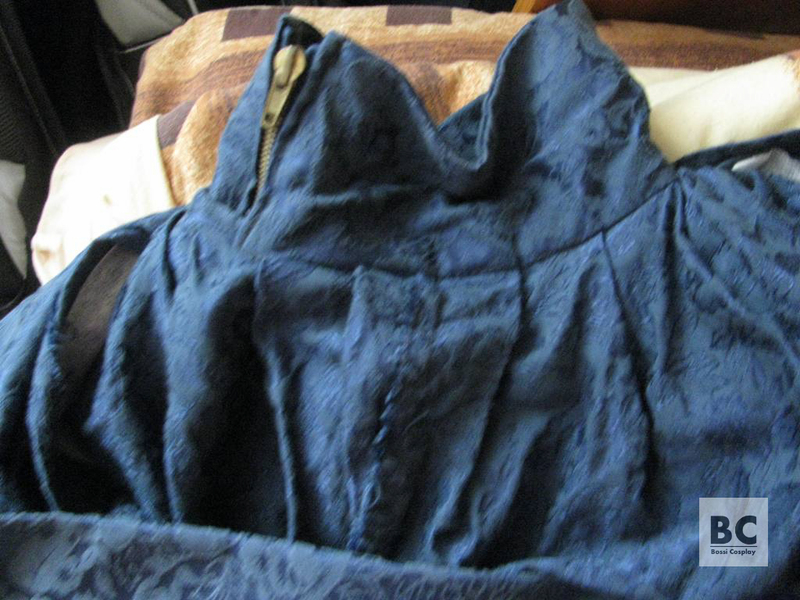 It has some additional stitches on the back of the cloak. 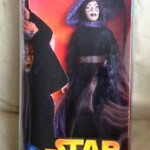 Based on this I realized for the first time that the cloak can actually be yoked at the back. 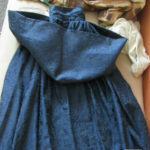 The yoke consists of four same pieces of fabric. Two are on top of each other (as two layers) in back and two are on top of each other (as two layers) in front. 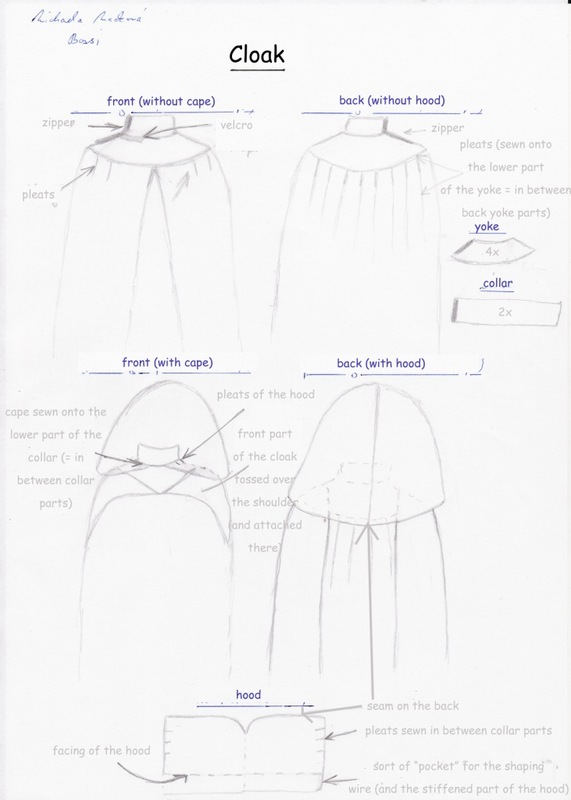 They are connected together by their shortest sides on shoulders (at one shoulder they are connected by the zipper, which extends to the collar part and allows me to get into the cloak, and on the second shoulder they are just sewn together). 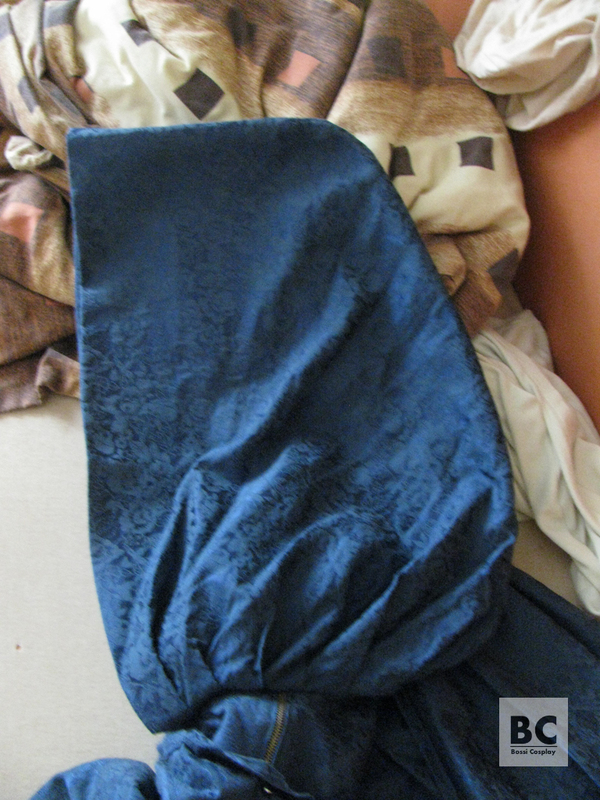 So the yoke is actually double layered and in between these layers, on the bottom, longer side of it, the main part of the cloak (a huge rectangular pleated piece of fabric) is attached. 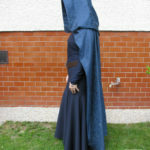 To the shorter, upper part of the yoke the collar (and the hood) is attached. 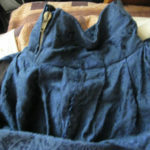 The collar is double layered as well – in between the collar layers the hood is sewn (except for its short part in front, which is attached by velcro – to allow me work with zipper). 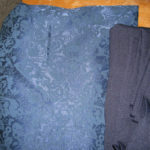 Find fabric with the most similar pattern or hand-paint your own. 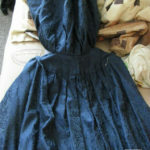 Find fabric which is a little heavier one so it would float/drape well. 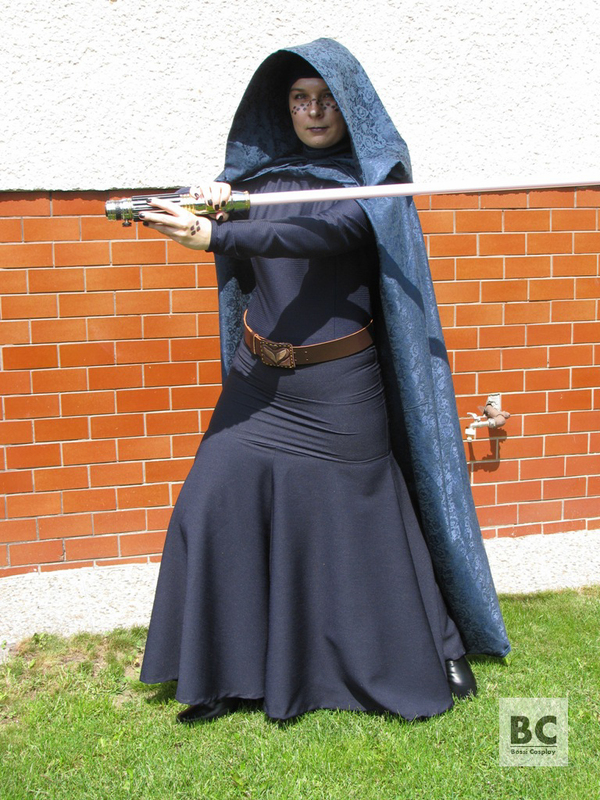 As far as the hood is concerned… I followed the tutorial here on Jedi Assembly. I used the same shape and measurments offered. 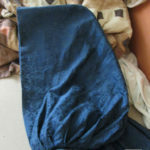 I ended up with huuuuuge piece of fabric, which I had to reduce into the desired size, but in general, the shape is good. 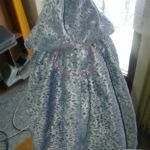 The hood is stiffened by “vlizelín” (sorry, don’t know the English word for that), which is ironed by a hot iron onto the fabric. 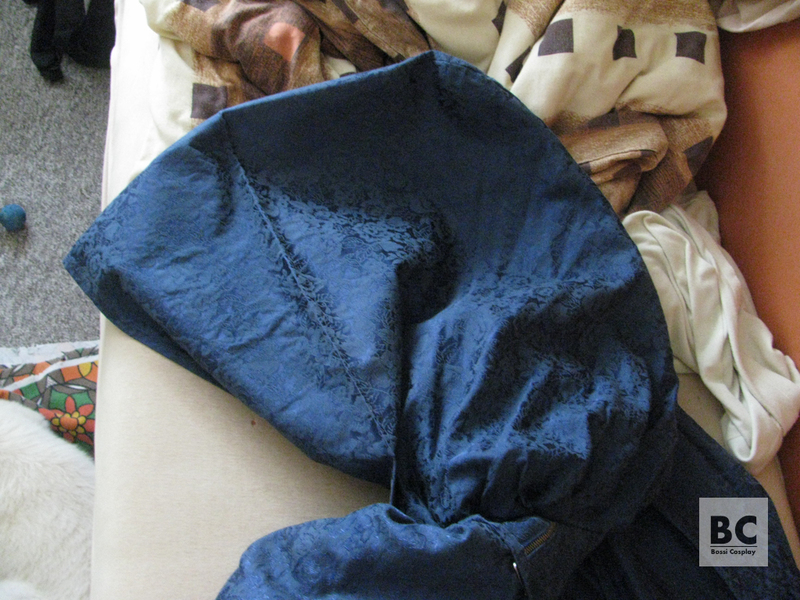 I ironed it into “the pocket”. 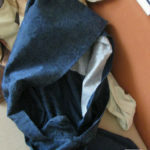 What I mean by “the pocket”? 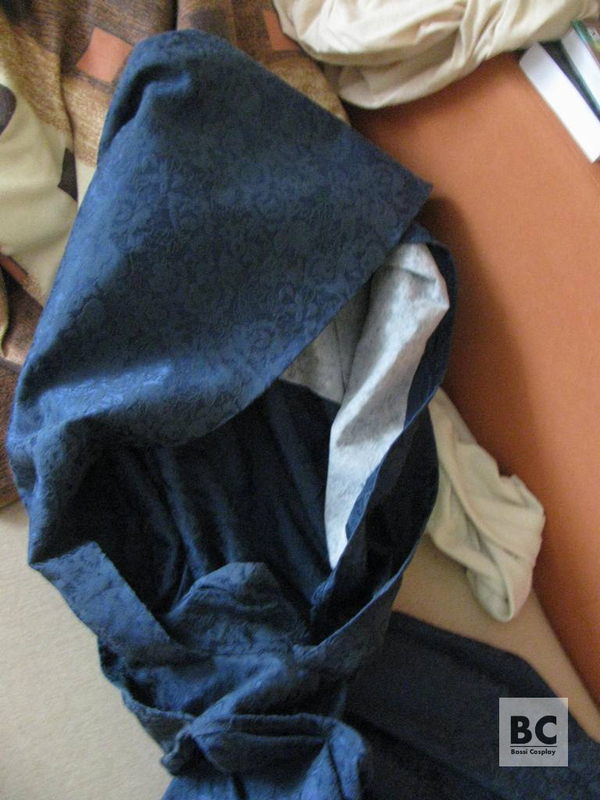 Front side of my hood is folded and turned inside so it creates a sort of pocket, which stiffens the hood a little bit and offers me to effectively hide this stiffening stuff I used, and more importantly – a wire. This stiffened part ends on top of my head. 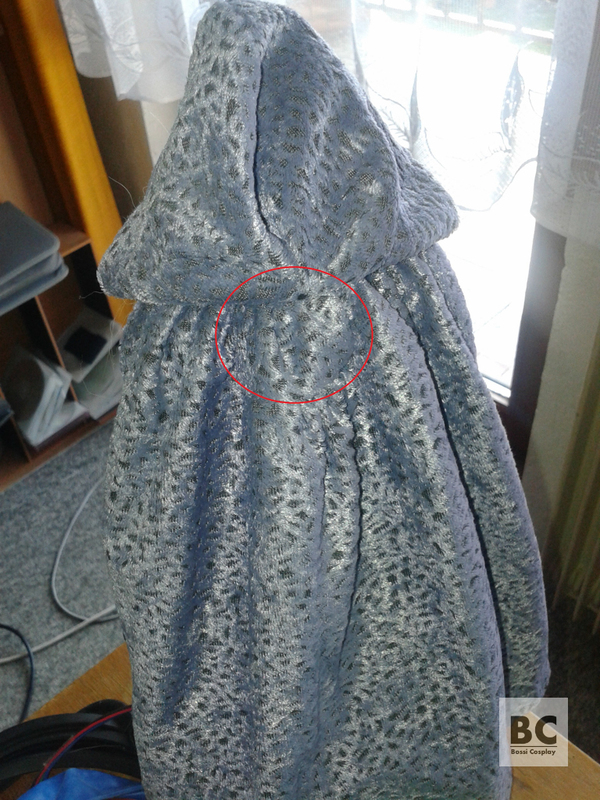 I mentioned a wire – I wanted to be able adjust the shape of the hood better so I inserted a thin wire into the pocket. 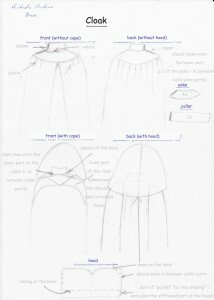 The wire is lining the whole facing of my hood and as I say, allows me to adjust the shape better. 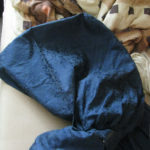 Thanks to the open pocket it can be taken away and it won’t damage the fabric during washing. How many yards of material for the whole thing? Wow, I don’t remebmer exactly, but I think it was about 7 meters of fabric which was 140 cm wide (sorry, not sure how many yards it is 😉 ). And I am about 162 cm tall. 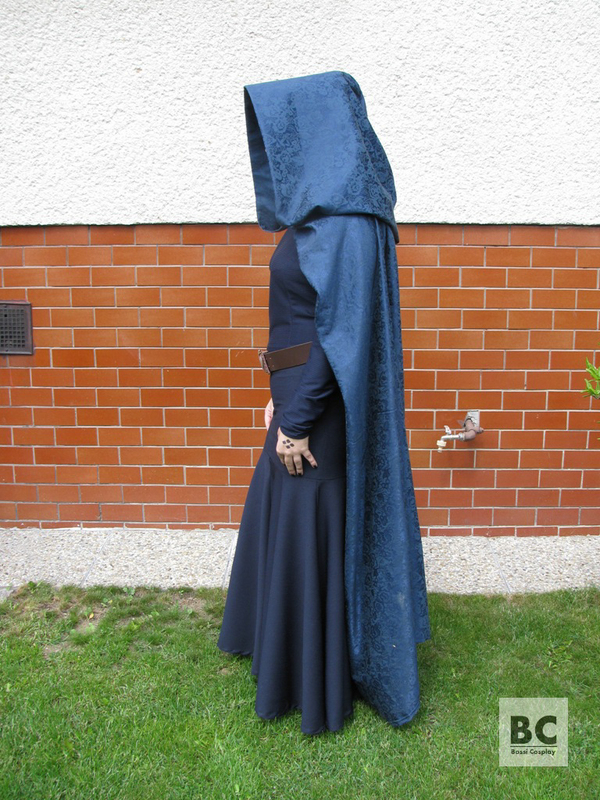 The cape is quite big and the cloak is draped so, it takes quite a lot of fabric. Thanks. 🙂 Feel free to ask, I will try to help. 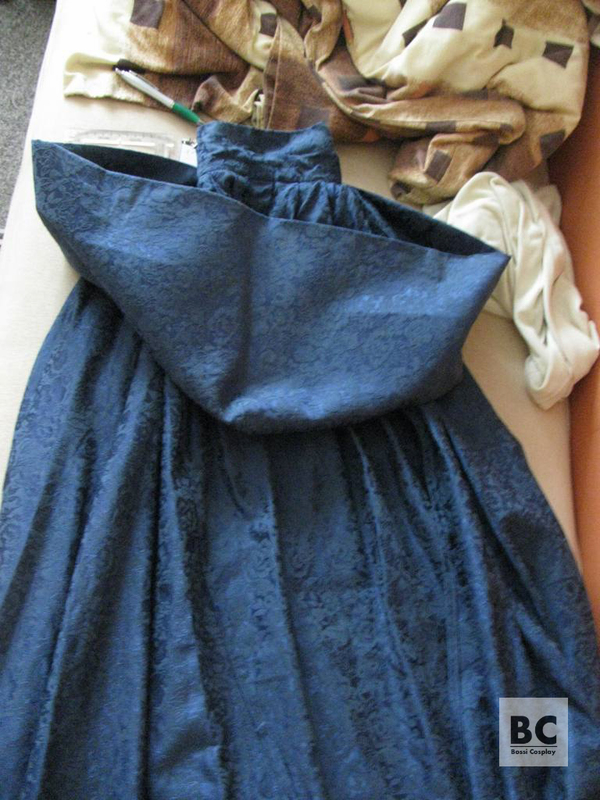 This was my second costume and my mum helped me a lot, but still… it was “trial and error” kind of work. 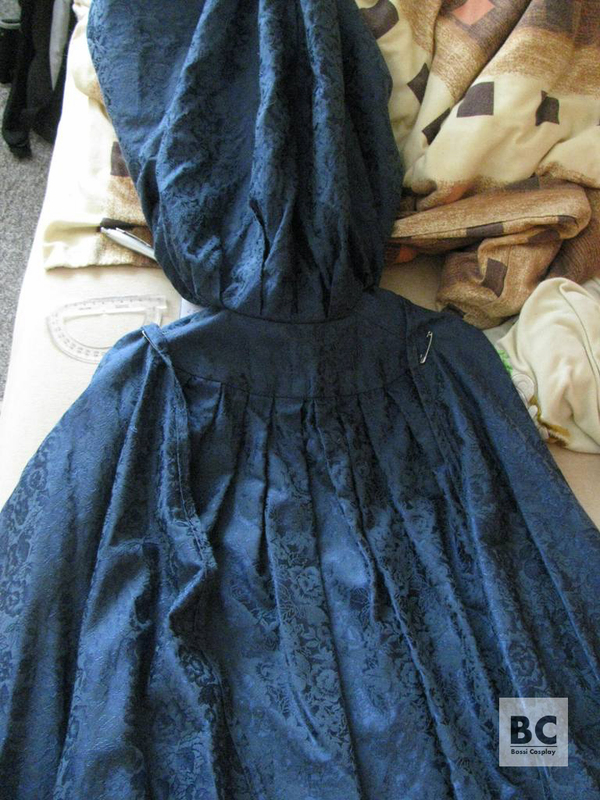 I had very little sewing skills at that time. So I think that with patience and will, everyone can manage.